The project’s primary goal is to reach low-income families and organisations that cannot normally afford to purchase improved stove and water treatment technologies. The prospect of future carbon revenues has allowed the project to secure investment for subsidizing the manufacture and sale of high-quality and efficient stoves and of water treatment products. To date, already 30,000 stoves have been distributed. At full capacity, the project will be able to provide clean air and water to more than 300,000 Kenyan families. In rural Kenya, more than 65% of the population do not have access to drinking water. To increase water treatment and improve local’s health, chlorine dispensers have been installed at communal water points, such as springs and boreholes. A local volunteer works to continually educate the community about the benefits of the dispenser, promote its use, and to maintain the supply of chlorine. In addition to the health benefits achieved, this cuts further the demand on firewood, which is otherwise used to sterilise water by boiling. The lower rates of deforestation are estimated to relieve our global climate from about 20,000 tCO2 e per year. Households benefit from time-savings due to the diminished need for wood collection, as well as economic savings from the reduction in purchase of commercial fuels. Indoor air pollution is significantly reduced, thanks to the improved stoves, leading to fewer respiratory and eye diseases. 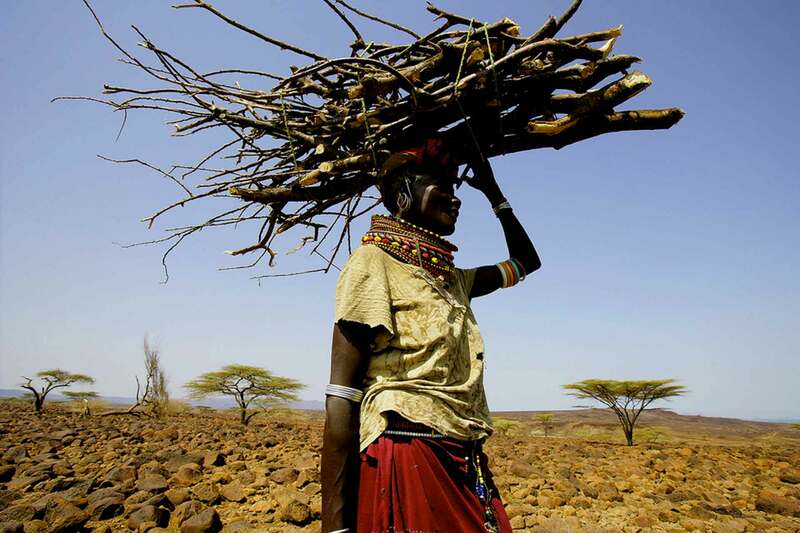 Women and children in particular benefit from more free time, since time spent collecting wood is cut by about 50%. The project supports micro-entrepreneurs and other small enterprises which sell the stoves in different regions of Kenya. The project has invested in local human resources, including the hire of a full-time administrative assistant, four sales executives, and an accountant. In support of the 200 project sales partners in Kenya, the project is engaged in more than twenty market activations and stove demonstrations per week around the country, including practical showcase demonstrations, public announcements, and road shows. High-capacity institutional stoves are produced specifically for schools to help reduce their firewood consumption and also bring the message to pupils’ families. Significantly reduced firewood demand all over the country is contributing to large-scale forest protection. Reduced deforestation rates are expected to contribute to the reduction of erosion and landslides, and to improve the water cycle of the forests, which in turn benefits the land and agriculture. The project is based in the East African country of Kenya. Although it is the biggest and most advanced economy in East Africa, Kenya is still a poor, developing country with a Human Development Index of 0.509, giving it a position of 143 out of 185 – one of the lowest in the world. eastern and southern Africa: in the last 15 years alone, the region has lost over 10% of its forest cover. Transparency: provided by the Gold Standard Registry.